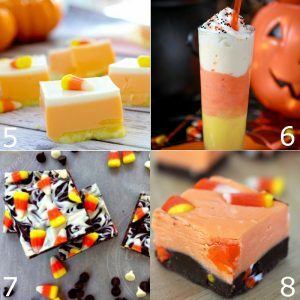 36 delicious and fun Candy Corn Dessert Recipes that are made with candy corn or look like candy corn. 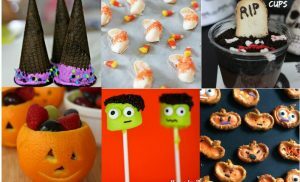 A fun way to celebrate Fall and Halloween! 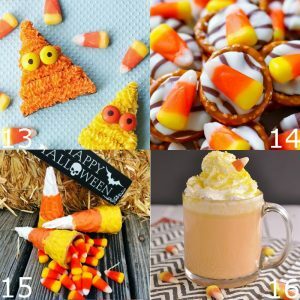 Candy Corn! 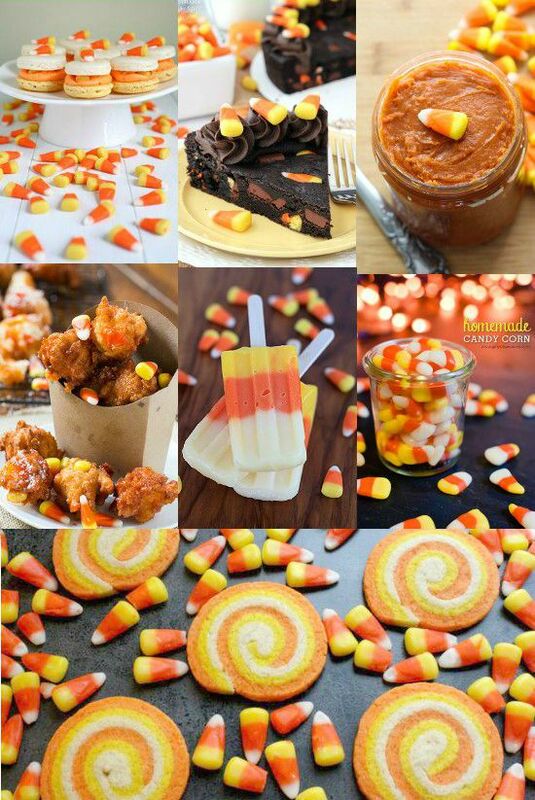 It’s one of my favorite parts about Fall, seriously. 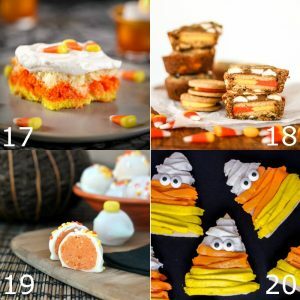 It’s fun to decorate with, fun to bake with, and best of all, delicious to eat! 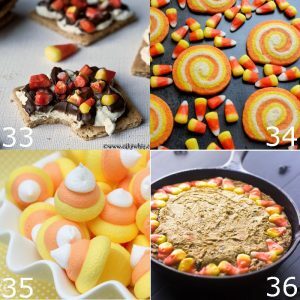 I’m so excited to start making all of these fun Candy Corn Dessert Recipes! 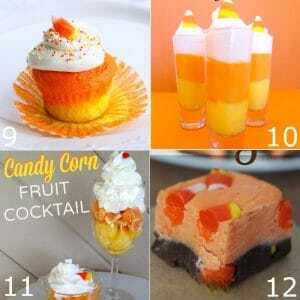 To view the full Candy Corn Dessert Recipes, just click on the corresponding links! 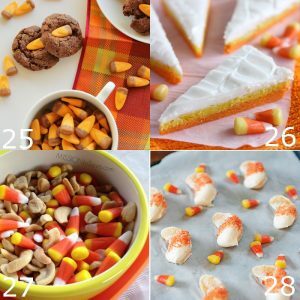 Did you like these Candy Corn Dessert Recipes? 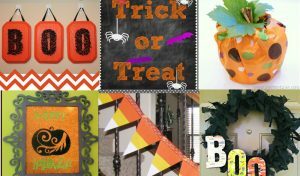 Find more on my Halloween and Falling for Fall boards on Pinterest! 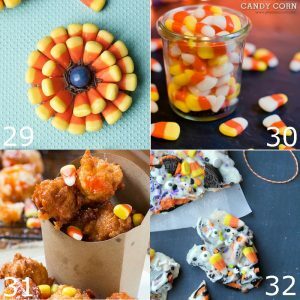 Thank you for including my Candy Corn Pretzels! 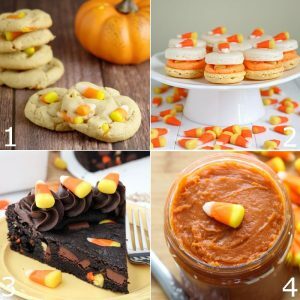 Great round up!!! Awesome roundup! 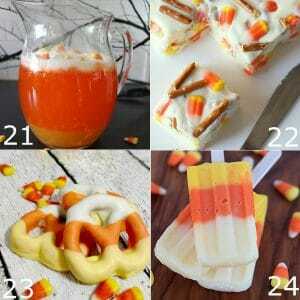 Thanks for including my Candy Corn Punch!